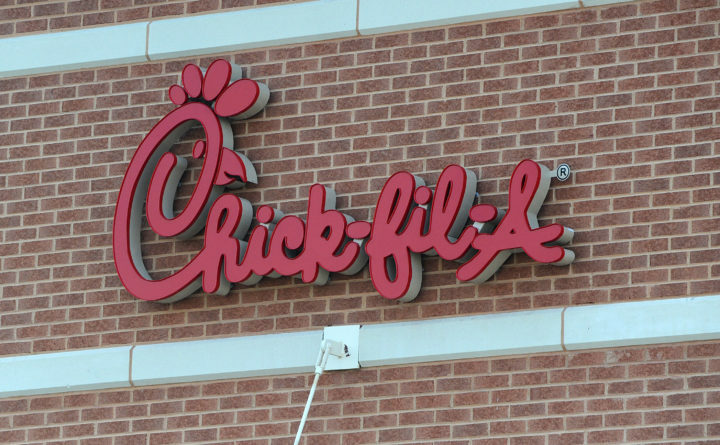 Chick-fil-A restaurant in Falls Church, Virginia, pictured in this AP file photo. KITTERY, Maine — The Town Council approved a victualer’s license Monday night for a Chick-fil-A mobile food unit, but it remains unclear when or where the company will dish out its famous chicken sandwiches. The council’s 5-2 approval authorizes Chick-fil-A to operate in Kittery, but once specific locations and dates are selected, it will again have to seek council approval. Town Clerk Nicole Maurice said it was her impression the company would be searching for permission of particular private property owners to set up for certain dates and times. According to its application, the truck is based out of Westborough, Massachusetts. According to an article by the MetroWest Daily News, this is the only Chick-fil-A truck in New England, and was one of four “2.0 food trucks” launched nationwide in November. So far, it’s traveled to Lee Premium Outlets, Edaville Family Theme Park and several colleges across the region, the article reported. Councilor Ken Lemont voted against the application’s approval, saying it was a way for the company to avoid property taxes, and he wished the council had been given more information. In December, the Kittery Outlets announced a Chick-fil-A food truck would be visiting on four different days from 11 a.m. to 7 p.m. However, the visits were cancelled. The only brick-and-mortar Chick-fil-A store in Maine is on Stillwater Avenue in Bangor. Follow BDN Portland on Facebook for the latest news in Greater Portland and southern Maine.